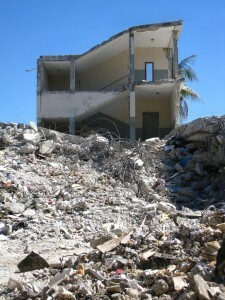 Government corruption may have lead to poor building practices in Haiti prior to the Jan. 2010 earthquake. Image courtesy of AIDG. This week on How On Earth, University of Colorado earth scientist Roger Bilham joins us in the studio to talk about his latest study, which shows a correlation between the prevalence of corruption in a country and the likelihood of civilian deaths during an earthquake. And Shelley Schlender talks to HOE contributor and astrophysicist Joel Parker about how the science of astronomy can have an impact on the pseudoscientific world of astrology.